Indian billionaires pumped in nearly 1 billion pounds into buying up luxury homes in the heart of London. 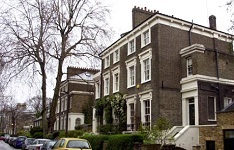 LONDON: Indian billionaires pumped in nearly 1 billion pounds into buying up luxury homes in the heart of London over last 18 months alone, becoming second only to Britain-based buyers, a new report said. These Indian mega-rich are expected to spend another £500 million on redevelopment in the next five years, said a report from UK luxury property agents Wetherell. According to the analysis, Indian "ultra high net worth" (UNHW) individuals are buying up superflats, estates and hotels in London against the backdrop of a faltering real estate market back home in India. This group of investors, second only to British-based buyers, spent almost £450 million purchasing 221 residences in prime central London in 2013, with the top three most popular locations being St Johns Wood, Belgravia and Mayfair. British buyers accounted for 30 per cent of property in Mayfair, while wealthy Indians have snapped up 25 per cent. Middle Eastern, continental European and Russian buyers all accounted for 13 per cent of purchases each in the exclusive London borough. According to "Daily Telegraph" estimates, around 3,000 UHNW Indian families escape the heat of India in the summer and relocate to their homes in London also seen as a global investment safe haven. "Many have chosen to invest in Mayfair, especially in Grosvenor Square, because they can see that currently the district is undervalued compared to neighbouring locations such as Knightsbridge and Belgravia. There has been a spectacular 314 per cent rise in sales values in Grosvenor Square since 2000, surpassing values such as Eaton Square and Cadogan Square," said Peter Wetherell, founder of Wetherell. Aside from private money, Indian developers are also entering the London market. The Lodha group, one of India's largest residential developer, had recently purchased the Canadian high commission in Grosvenor Square for £306 . The group plans to turn the seven floor 135,000 sq ft building into 18 to 20 luxury homes.